SNaPPY GRiP™ Ergonomic Handles are made to last for years without deterioration from the sun or chemicals. 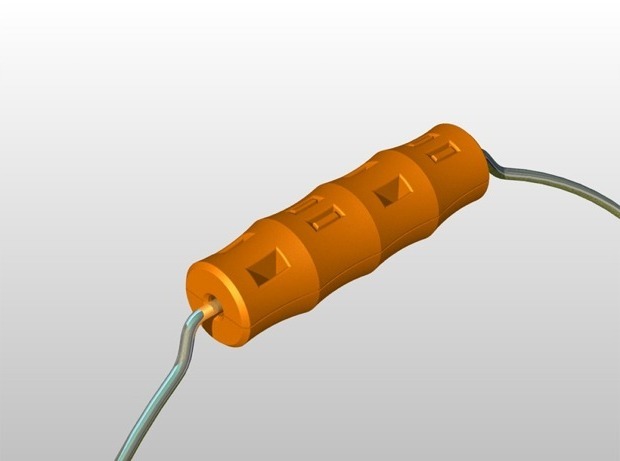 It is designed to fit over the wire bail on buckets, to fit on rope or twine when carrying boxes or packages, to fit over the wire handles on pet cages and live animal traps, and they can even be modified for use on custom made tools and stuff. Your hands will love you!!! SNaPPY GRiP™ Ergonomic Handles will fit most hands comfortably. Say, GOOD BYE to numb fingers or the ache of arthritis. It can reduce hand fatigue by more than 50% buy distributing the weight over more of the surface area of your fingers, which will reduce the possibilities of arm, back, and shoulder injuries. Whether you’re a handyman, painter, plumber, fisherman, gardener, camper, homeowner, trapper, pet owner or international traveler, this product is a must! 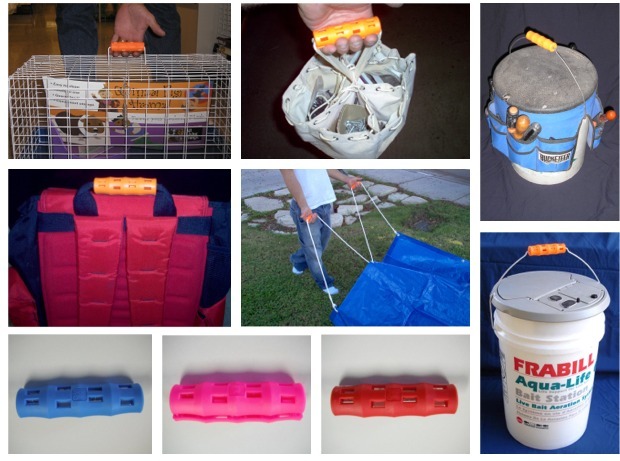 Snappy Grip - Not Just For Buckets! Buckets have become an item that a good percentage of people could not live without. They have hundreds of uses or home and business and more are being dreamed up daily. But SNaPPY GRiP™ is not just for buckets! SNAPPY GRIP™ Ergonomic Handles for buckets! 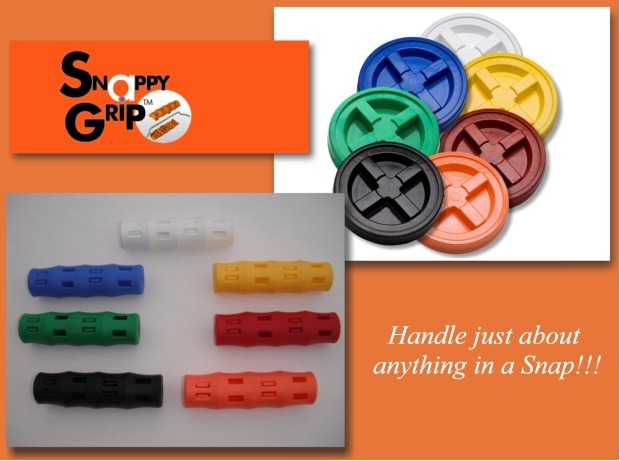 SNaPPY GRiP™ Ergonomic Handles can be considered permanent or disposable. At $1.50 each they will make carrying a bucket 4 feet or traveling with a package 4000 miles a whole lot more enjoyable. With over 400 million produced every year, the five gallon bucket is considered the most widely used single items in the world. It has been a standard household item since it’s introduction, and without a doubt, it has more uses than any other product on the market. They are used in just about every trade and often dedicated to a specific task for several years. So, why not have a handle that will make that widely used product more user friendly? SNaPPY GRiP™ Ergonomic Handles will fit most hands comfortably. Say, GOOD BYE to numb fingers or the ache of arthritis. Whether you’re a handyman, painter, plumber, fisherman, gardener, camper, homeowner, trapper, pet owner or international traveler, this product is a must! Make work and play easier to handle with SNaPPY GRiP™!